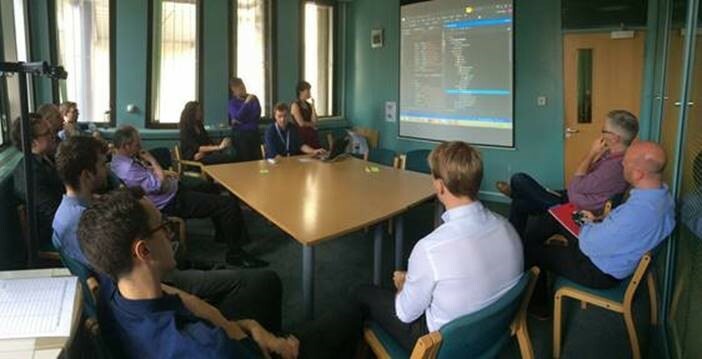 We’ve often mentioned how the Digital by Design programme is adopting new ways of working and introducing a new Agile culture to Stockport Council. 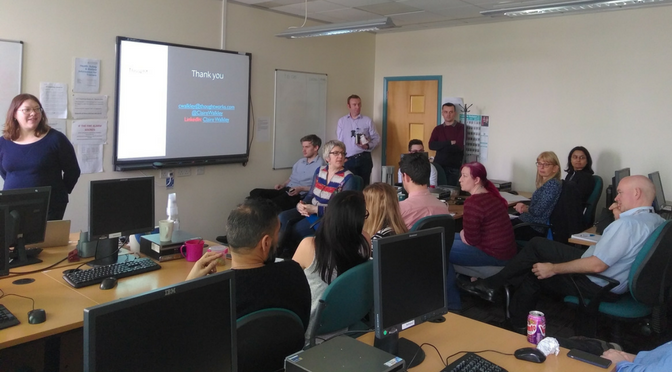 Whilst we have brought in many formal processes to our working practices we have also added more casual ways to listen to and learn from others, which is where ‘Lunch and Learn’ comes in. In a nutshell it’s an informal 30 minute talk each Thursday lunchtime, on any subject matter, available to any member of staff to attend with or without sandwich, jacket potato or salad bowl! The idea is that we have an “expert” to impart knowledge to peers on an interesting subject. Usually the speaker has plenty of experience in that area but being asked to do a talk can also help that person learn even more. The subjects of the Lunch and Learns are driven by people willing to impart their knowledge and equally by people suggesting a subject about which they’d like to learn more. Whilst the vast majority have been of a technical theme they are always presented in layman’s terms, as we assume that for many in the audience this could be their introduction to the subject. The idea is to pique their interest and give them a starting point for furthering their knowledge should they wish to do so. Where possible the speaker is encouraged to provide links to further information on the subject and the presentations themselves are often shared. Amazon Web Services – What is it? Plus introductions to subjects that may have a bearing on either our work or personal lives, varying from Empathy to Time Management and recommendations for useful Ted Talks that may help. We’ve also had some fun whilst learning something new, with an introduction to The Chinese game Go and Pecha Kucha (20 slides of 20 seconds each, in case you were wondering) and of course the Christmas quiz! If you have any suggestions for Lunch and Learn topics that would interest you, if you have ‘expert’ knowledge that you would be willing to share at a lunch or if you would like to be added to the weekly mailing about Lunch and Learn please let us know at digital@stockport.gov.uk.